Christmas is around the corner, the festive season is upon us, decorations are being put up and Christmas songs are being added to playlists. With so little time and so many people who you need to buy gifts for, sometimes it just isn’t that easy to get the right gift! 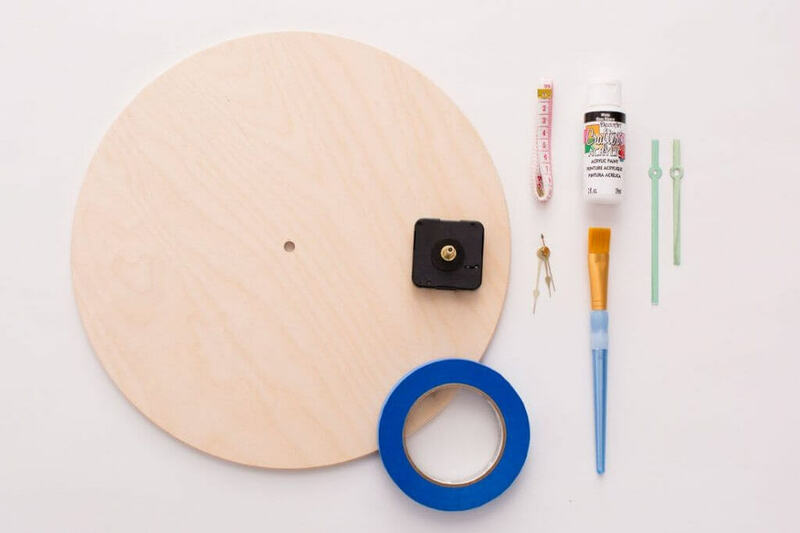 That is why we are here to show you how to make your own DIY Wall Clock. It’s fun to make, it shows effort and thought put into the gift and you can literally customize it to look exactly the way you want. For the clock face almost anything can be used- a CD, old record, piece of wood, a tile, perspex design………use your imagination! Acrylic paint if you want to paint numbers otherwise scrapbook stickers work well too! Now that you have all your tools and accessories, let’s get started with the actual making! 1. Using your tape measure, make 12 dots around the clock by dividing it into equal spaces. Then continue to connect the opposite dots to create 12 equal pieces. 2. 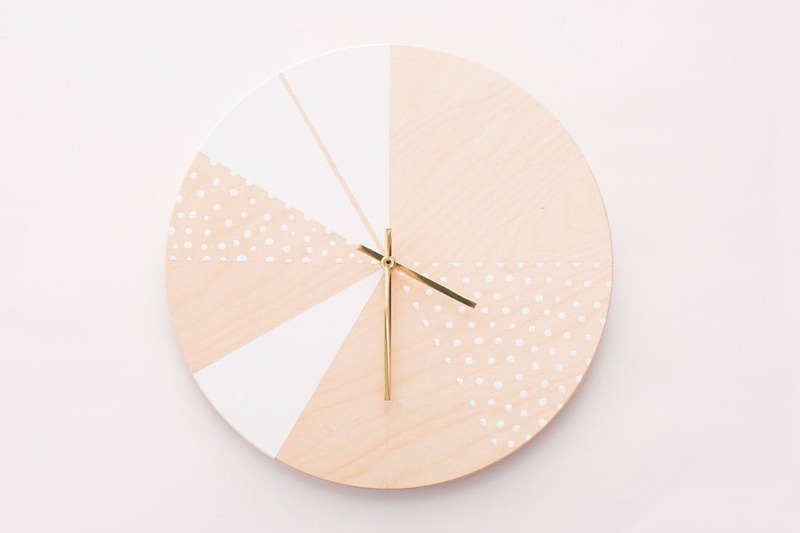 Choose the design you want on your clock face – you can paint it, use scrapbook paper, use stickers – there are many ways to add some colour and uniqueness! Or keep things simple? 3. You need to make a hole in the center of your clock face for the movement shaft to go through- this needs to be 8mm in diameter and go straight through the face or dial – depending on what your material is you will need to drill through the face for the hole. 4. Once your face is decorated and ready the next step you are going to add your clock movement and put the battery into the movement. 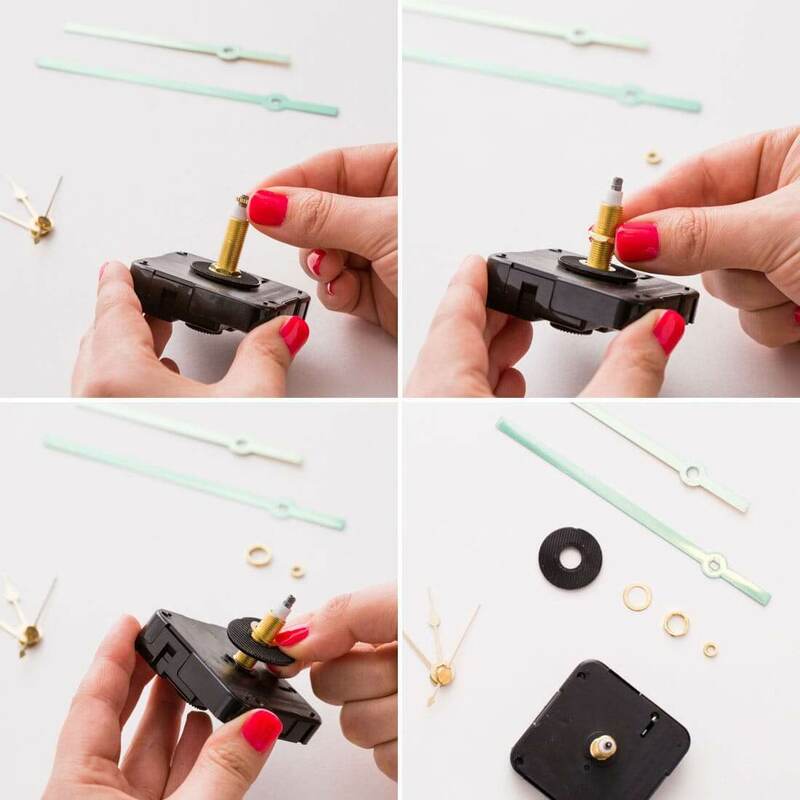 Add your rubber washer onto the movement. Put the threaded shaft through the centre hole, then add the metal washer and lastly tighten the nut onto the thread to keep you face and movement together. ( Don’t tighten too hard!). 5. Add your smaller hour hand first followed by the bigger one and then proceed to top it all off with the small nut to secure the whole setup – and that’s it! Give this wonderful Christmas present a thought and a try – you might be surprised at what your end piece will look like. DIY is so fun and therapeutic that you might even start doing it more often. Enjoy the preparation for this festive season by keeping an eye on our upcoming sales and specials. After all, the holiday season is all about giving!